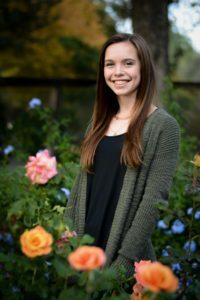 Hi everyone, I’m Georgia Pope, a current sophomore at Harvey Mudd. My grandpa, Ken Pope, was a member of the founding class of Harvey Mudd College and he wouldn’t let us forget it. He felt an enormous sense of pride being a part of the history of this wonderful school. 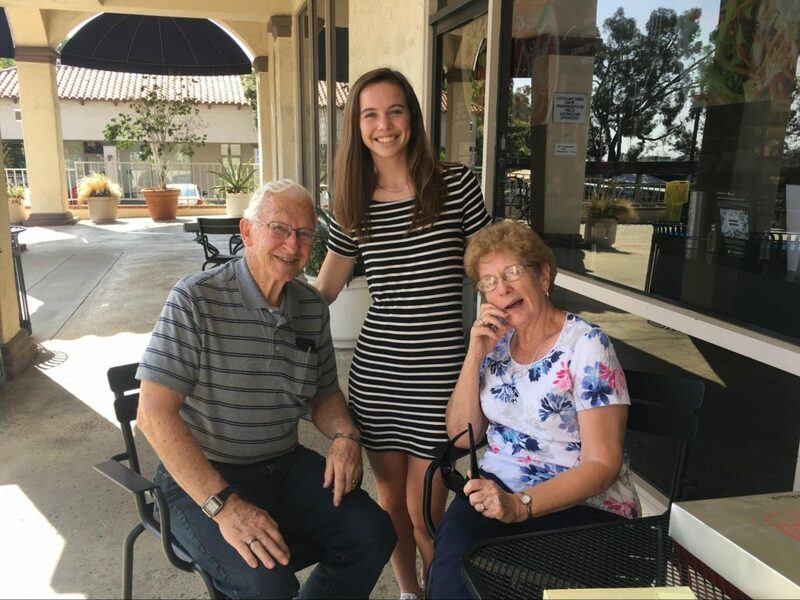 He was disappointed that neither of his children attended his alma mater, however, he couldn’t have been happier that not one, but two of his grandchildren decided to attend Mudd. Both my brother (Nathan Pope ‘19) and I are current students at Mudd, the school that our grandfather had attended more than 50 years ago. Unfortunately, my grandpa passed away suddenly last semester. Many of his college buddies, also from the HMC Class of 1961, attended his memorial, allowing my brother and I to connect with some of the individuals that my grandpa had spoken so fondly of. While there was sadness at the memorial, there was also laughter and stories, many of which focused on those early days at Harvey Mudd College. The afternoon that I spent with my grandpa’s college buddies allowed me to hear some great pieces of Mudd’s history. I found them interesting and quite entertaining, so I thought that the readers of this blog might too. To assist me in writing this blog post, I met with David Howell ‘61, the second ASHMC president, co-author of the ASHMC constitution, and my grandfather’s college roommate. We had a wonderful afternoon full of stories and history and I learned so much about Mudd’s past. Unfortunately, I cannot fit all of what I learned from Mr. Howell in this blog post, but I will do my best to give you all some highlights. David Howell ‘61 and his wife Merilyn after our meeting. The first class of Harvey Mudd College arrived on campus mid-September of 1957. They were a group of 48 students, hand-picked (quite literally in fact by Joe Platt and his wife Jean) from the relatively small number of applicants that had heard of this new school of science and engineering in Claremont, California. From the beginning, the students admitted to Mudd were chosen for their diverse interests not only in science and engineering, but also in the humanities. When the group of young students eagerly arrived on campus, a single building, East Dorm, and a field of dirt and rocks awaited them. As there were no other buildings on Mudd’s campus, classes were held in Pitzer Hall North and Baxter Labs and meals were eaten in Collins, CMC’s (then Claremont Men’s College) dining hall. Class meetings were either held in East’s lounge or a room in Baxter Labs. While the facilities were rudimentary and spread out, the students were still elated to be a part of something new and exciting. Two staged photos with David Howell and two other students, one from Scripps and another from Claremont Men’s College (now Claremont McKenna College), on move in day. Cars parked outside of East Dorm shortly after students moved in. The building was declared liveable the day before students moved in according to the 1961 yearbook.  Because the school was brand new, the founding class had a lot of opportunity to shape the culture of Mudd. They created ASHMC (Associated Students of Harvey Mudd College) for student leadership along with the first ASHMC constitution and they wrote the first draft of our Honor Code. Another contribution that the founding class made to Mudd was the selection of our school’s colors. Mr. Howell fondly remembered the debate that occurred over the possible colors for HMC. My grandfather wanted the school’s colors to be powder blue and white, the colors of his high school, but Mr. Howell thought gold, white, and black would fit this new school of science and technology better. As you can all guess, Mr. Howell prevailed and the colors of Harvey Mudd were decided to be gold, white, and black. The founding class of Mudd also got into a fair amount of mischief. 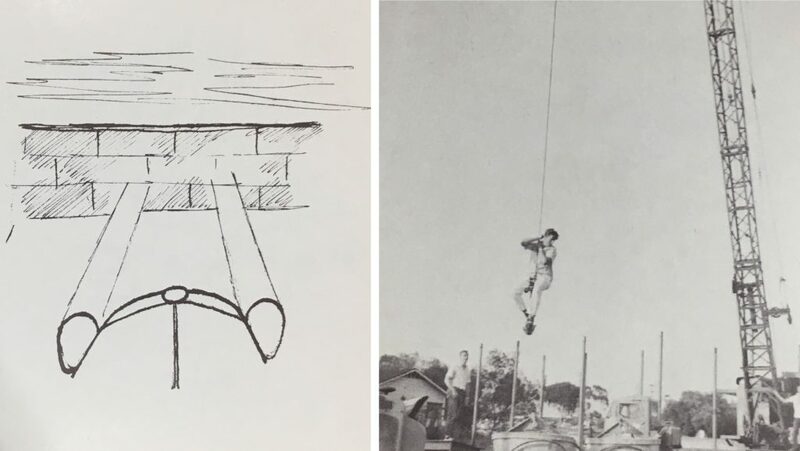 In the photo on the right, you can see a student hanging on a crane. This crane was outside of West dorm when it was being built. One evening, a student was able to hot-wire this crane and get it working. They enjoyed playing with the crane and getting used to the controls until someone decided to pick up a portable outhouse with it. They were able to lift the outhouse high off the ground but they ran into trouble when bringing it back down again. Unfortunately, the outhouse was not heavy enough for the crane to bring it back down so the students had to leave the outhouse dangling three stories in the air. We still enjoy pranks here at Mudd, but they do fall under the Honor Code and must be reversible within 24 hours! 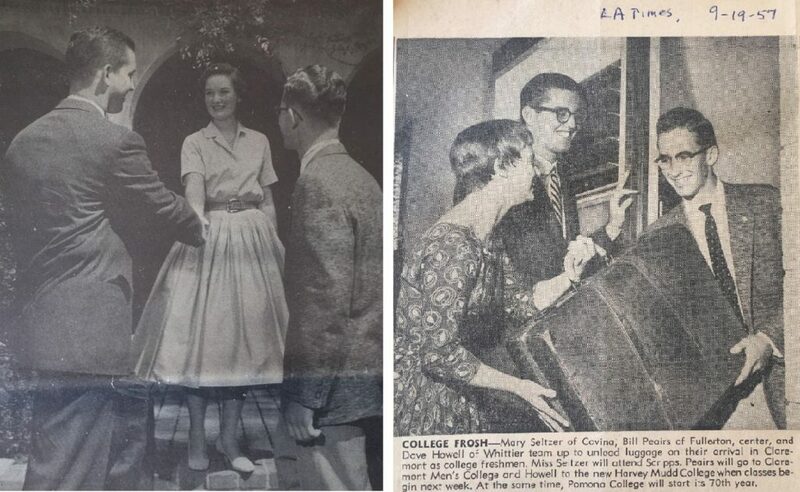 I had a great time learning about the early days of Harvey Mudd and connecting with my grandfather’s past in the process of writing this blog post. Mr. Howell and the rest of the class of ‘61 were all a joy to talk to and I am incredibly appreciative that they shared their stories with me.